Please note: The new Thrombosis Charity website has moved and can be found here. Thrombosis affects thousands of people in Britain every year; however it is not as widely discussed as illnesses such as cancer, heart attacks, diabetes or strokes. 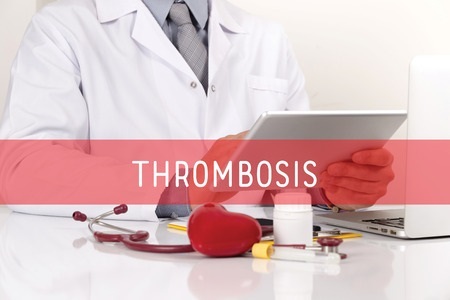 Without the correct treatment, thrombosis can have fatal consequences, so it is important that thrombosis is correctly identified and that prompt action is taken. People who are suffering from thrombosis should be given adequate support to help them manage their condition. The National Health Service in the United Kingdom provides a clear series of resources to help patients to understand thrombosis and the risks that are associated with it. Reading these resources can help patients to develop a better understanding of their diagnosis. In addition to this, local health trusts also provide varied resources to give people practical support for dealing with thrombosis. These practical support services include specialist clinics to help patients to manage difficult medication, such as Warfarin. Regular checks like these help medication users to feel more confident in the medication which they have been given to treat their conditions. Thrombosis may mean that a person is unable to work, although this is not always the case. If you’re forced off of work for a short period of time because of your thrombosis, then your employer may be required to provide you with sick pay during your illness. Most employees in the United Kingdom qualify for Statutory Sick Pay (SSP) that’s paid by your employer for up-to 28 weeks. The minimum SSP is currently £89.35 per week. In order to qualify for SSP, you need to be declared unfit for work for at least 4 days in a row. Some employers will be prepared to offer their staff a higher rate of sick pay if they are forced to spend time off of work. This is normal set out in the contract of employment or the staff handbook. If you are unsure about how much your employer will pay you, you should speak to the HR professional. Some thrombosis sufferers may also be eligible to claim Personal Independence Payments (PIP) or Disability Living Allowance (DLA) to help them to cope with the financial costs of living with thrombosis. These benefits are assessed based on need and are not guaranteed to everyone who is suffering from thrombosis or post-thrombotic syndrome. 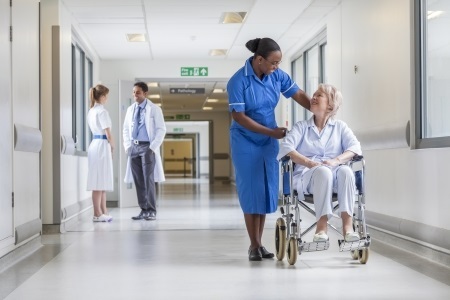 Patients are most likely to be able to claim PIP/DLA if they are able to prove that they have mobility issues which prevent them from being able to return to employment. If you wish to make a claim for benefits like these, you may wish to seek expert advice before filling in the forms, in order to maximise your chances of being able to make a successful claim. You may also need to get medical evidence to prove that you are suffering from a serious medical condition. Some PIP/DLA candidates are required to undergo a physical test and face-to-face interview as part of the current eligibility requirements. These benefits are also reviewed regularly to make sure that people are able to return to work if their condition improves. There are a small number of thrombosis support groups based in the UK. These groups give people a place to meet to discuss what life is like for people who suffer from thrombosis. Many of the people who use and attend these groups are chronic sufferers, and enjoy having the ability to talk to people who are in the same situation that they are in. For those who are unable to get to a physical support group, there are also plenty of online support groups and web forums that patients can join. These websites allow people to discuss their condition with a global audience. Thrombosis UK is the UK’s leading thrombosis charity. The charity aims to provide support and advice to thrombosis sufferers and healthcare providers across the country. This includes all aspects of thrombosis, from prevention to care. The charity also funds and drives much of the UK’s scientific and medical research into thrombosis. The Thrombosis UK website provides lots of fantastic resources to help patients to continue living well whilst suffering from the condition. The site is divided into a number of easy to understand sections, so that patients and healthcare providers can quickly find the information that they need. Patients can even use the site to find answers to the types of questions which could seem too trivial to ask the doctor, such as “Is it safe to shave or wax whilst taking anticoagulation medication?”. Thrombosis UK also runs regular charity events to help to raise money to continue their research into thrombosis. If you wish to donate money towards reducing the risks of thrombosis across the UK, then you will find easy donation links on the website.